Thousands are gathering in the Bosnian town of Srebrenica to commemorate Europe’s worst atrocity since the Second World War. The remains of 71 recently identified victims were laid to rest at Srebrenica-Potočari Memorial Centre and Cemetery, as mourners observed the twenty-second anniversary of the massacre. As many as 8,000 Muslims were murdered at the hands of Bosnian Serbs, their bodies dumped in mass graves over the course of the eleven day massacre in 1995. Occurring during the Bosnian war, it was one of numerous war crimes that the Army of the Republika Srpska are accused of committing over the course of the conflict. In addition to the murders, thousands of women, children and elderly people were forcibly deported, and a large number of women were raped. 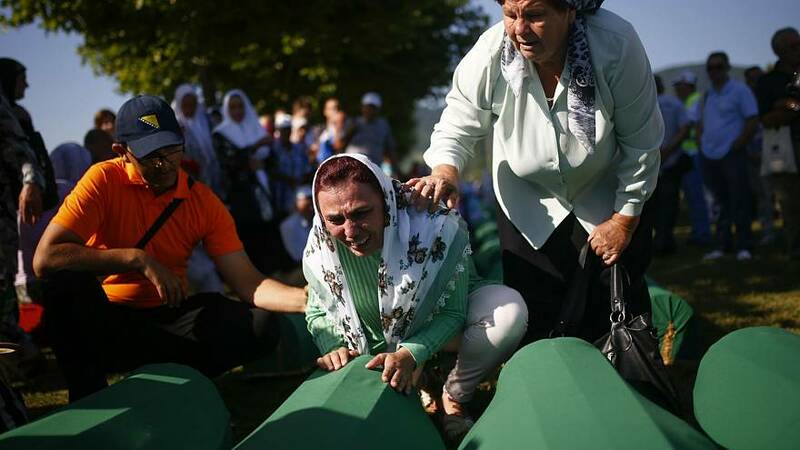 The United Nations, which attempted to pass a resolution in 2015 condemning the massacre as genocide, has previously called the events in Srebrenica “the greatest atrocity on European soil since the Second World War”. "I think that he really wanted to kill me..."